What if your whole life was a dream, or a computer simulation, and you didn’t realise it? What if your whole life was a dream, or a computer simulation, and you didn’t realise it? This sort of scenario occurs to many of us as children, and has inspired books and films. It also raises philosophical questions that have been debated for thousands of years. Can we know what the world is really like? Would it be a bad thing not to be in touch with reality? What do we mean by ‘reality’, anyway? Philosophy studies the most fundamental questions that underlie science, life and everyday thought. 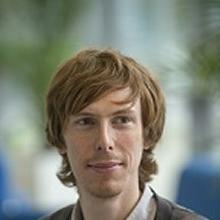 Dr Conor McHugh is an Associate Professor of Philosophy at the University of Southampton.